A Little Issue…Am I Allergic to Belize? Yeah, that about sums up most of my time in Belize and my major plans for the country. 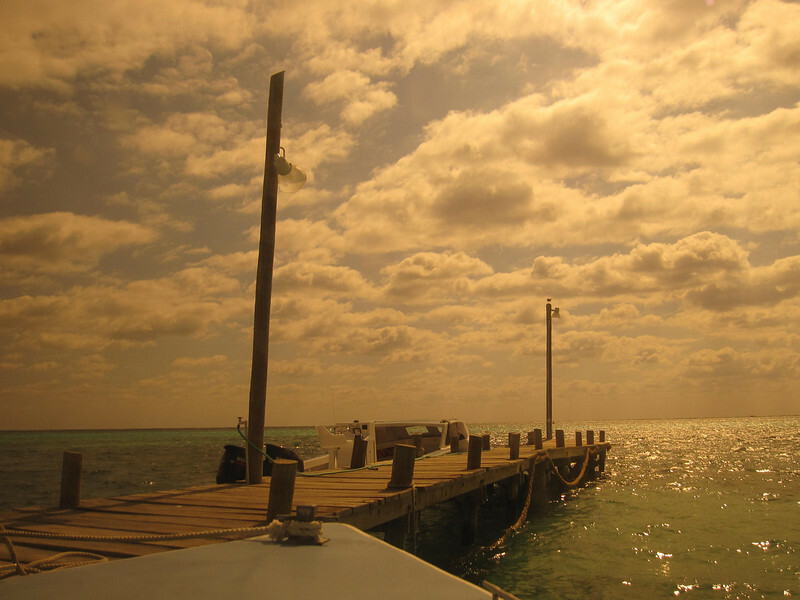 I have read absolutely fabulous things about the diving in Belize. The Blue Hole has been on my bucket list for quite some time and the country boasts the second largest barrier reef in the world – sounded great! 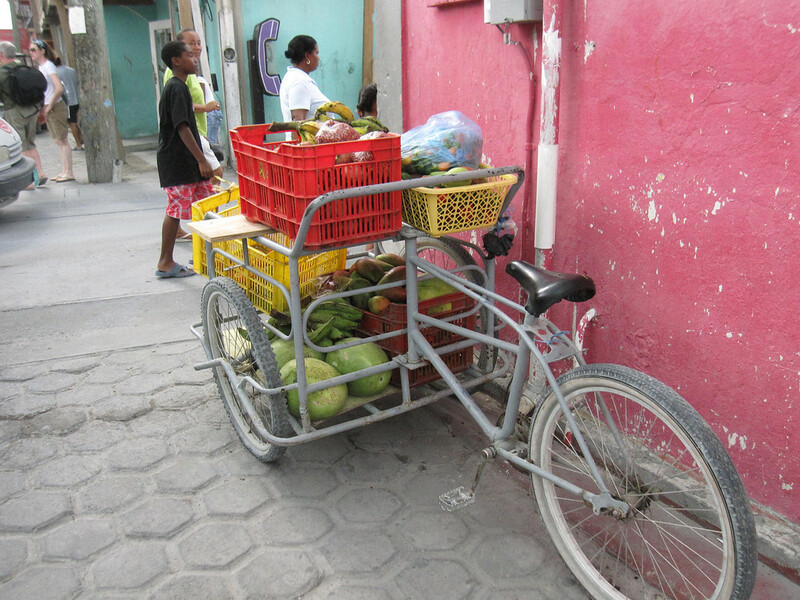 A colorful street corner and bicycle filled with fruit and veggies to deliver and sell around the town. But then a series of events forced me to completely abandon these plans and eventually just bail from the country altogether. First off, to warm up and get right out there I signed up for some local dives on my first day on Ambergris Caye. These dives go about 5-10 minutes off of the shore to the edge of the reef and are relatively cheap. They’re also under-whelming to a huge degree. I wasn’t too impressed actually and to further compound it, our dive instructor was NOT NICE – which is such a marked contrast to the vast majority of the friendly Belizeans I have met recently. Well, with these two dives under my belt I decided to hang a bit before signing up for the Blue Hole dive. Ah well, not the best idea because two days later I had a serious allergic reaction to something (absolutely no clue what) that I then battled for days – apparently I was still in contact/consuming it despite going on a strict diet of only very “safe” foods. I was forced to the emergency clinic for a shot to stop my throat from closing any further and to deal with the hives. Fast forward three days and the throat problems and hives are still there – not going anywhere. I couldn’t dive with the throat issues and I pondered that I am just allergic to something basic in my current environment…ie. Caue Caulker, Belize. It’s moments like that this that I am both sad and grateful that I travel solo. It would have been nice to have someone else with me when I passed out in the clinic (they couldn’t find my vein yet they tried…and tried…and tried…) and battled staying awake (I was on a LOT of Benadryl) …but now, I’m also able to just move on without forcing someone else to miss out on something. And had I intensely planned out my travels I would not be able just pick up and move on. But I can. I have no desire to stay in Belize right now, but you know, I’ll likely be back for the Blue Hole…just not now. So, hello Guatemala, here I come! A new country for me is all about the people and the culture. Although I love seeing major iconic sights—they are popular for a reason, after all!—my conversations with locals, immersive traveling, and off-the-path volunteering have proven my most transformative travel experiences. Perhaps it’s this very reason why Belize caught me off guard; my expectations regarding the country’s culture, food, and tourism value have been overturned and surpassed in every way. They speak English in Belize, for starters, and the Queen herself graces the face of their coins and dollars. Though I knew all of this going in, I still had expectations that the culture would more closely align with the rest of Central America. Well, that’s just not quite the case. Yet, for all that they are a British Commonwealth, there’s something more to Belize—something I discovered only once I cast aside expectations and stripped myself preconceptions. When you travel in Belize, you have to take the country for itself, not as a piece or model of anything else. And while that can be said of most countries, when you travel through a region of the world where war and politics have continually redrawn boundaries, there is often a good deal of overlap in food, culture, and history. What Makes Belize’s Culture So Unique? 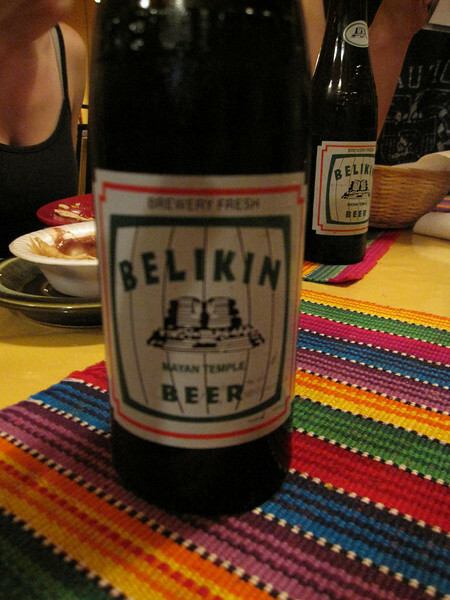 Belizeans exude friendliness, for starters. After traveling around the world all last year, I have earned a certain level of travel savvy when it comes to touts and hustles. But Belize surprised me. Locals followed me through the streets offering advice and recommendations, as often happens in developing countries, but with no expectation of tip (which does not often happen!). At first, I didn’t trust any offers of genuine kindness—there had to be a catch, I thought. After our debacle of a border crossing, my new friends and I arrived in Corozal, a transient town light on infrastructure. The sun had set hours before and with no streetlights, we used a flashlight to follow our map and locate a guesthouse. Along the way, no fewer than four Belizeans offered their help, showing us to our hostel, the exact one that we had picked. Often in this situation, a tout bombards me with other choices—telling me the one I want is bad/closed/far/etc. Or, they offer to show me the way and carry my luggage—for a fee. It’s almost always something. It’s cynical to say this, especially because I have overwhelming received help along the way, too, but not often in situations where tourists are known to be vulnerable (like those riding the last chicken bus of the day across the border in the dark, into a new culture and currency). Yet, the Belizeans in Corozal seemed to have no ulterior motive, they merely wanted to ensure I made it to my hostel safely. Over the next several days, once I made it to the Cayes (islands located just off the coast and sitting nearly on top of Belize’s Barrier Reef), the characteristic friendliness intensified once it mixed that laid-back island culture you find on nearly every island in the world. Belize is a small country, it has a fair number of tourists, but it’s not overwhelmed with them, and many locals seem to genuinely enjoy extending a friendly welcome to newcomers. 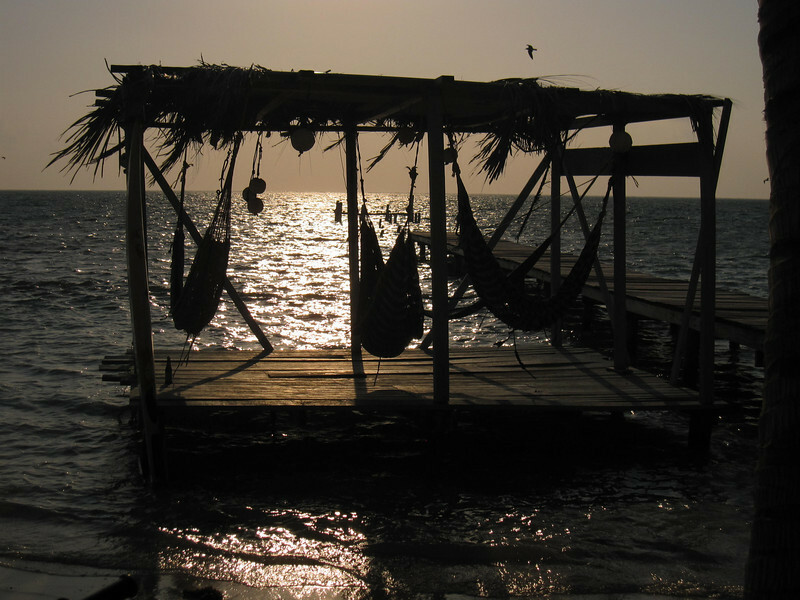 It’s likely more than the islands alone, however, and has a fair bit to do with the fact that Belize has an eclectic cultural mix calling the country home. The multiethnic hodgepodge here includes: Africans, Amerindians, Europeans, and Asians. That doesn’t begin to truly illuminate the various ethnic subgroups within those populations. Subgroups like the Creole Baymen, Garifuna people, Mestizos, indigenous Maya, and the well-established Mennonite community, to name just a few. 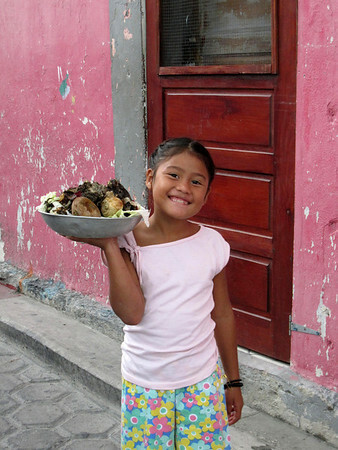 These cultures have lived side-by-side, and often intermixed, creating a unique culture you can find no where else in all of Central America. They just beat to a different drum there, and they revel in it. One day, a local man called me over to his shady tree stump, interrupting my rapid walk down the beach. He absolutely insisted that I come over to hear what he had to say. Miffed by what could be so important (and growing wary, despite the kindnesses I had been show), I sauntered over to a friendly distance. 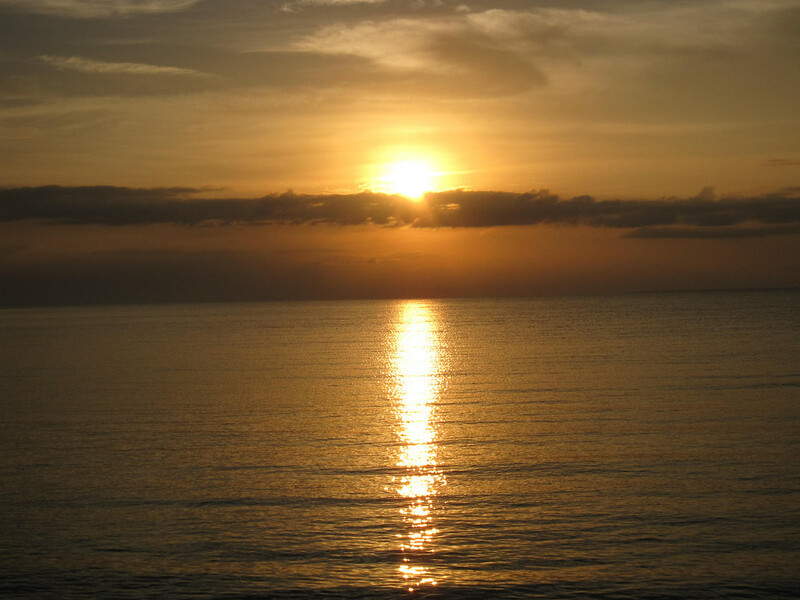 He was right—where did I truly need to be when the white sand of Caye Caulker gave way underfoot and the lapping Caribbean waters beckoned for a swim? Why have you lead me astray? You disappointed me this past week at the Mexican/Belizean border crossing. To be fair, this is the first time you’ve been so incredibly misguided, dear Lonely Planet: Central America on a Shoestring—you have helped me confidently navigate uncharted waters, until now. I love you, I nurture you, I pull you out of the depths of my bag when I’m in a pinch, yet you disappoint me at the weirdest times. You have ten different hostel accommodations for random pueblecitos, but yet a mere paragraph about the fairly confusing border crossing between Mexico and Belize via Chetumal. But also, you know, thank you. You made me realize that travel is about more than a guidebook. Without the right information, I was forced to get creative. And over the years, I’ve realized there’s always a local nearby willing to impart the information you so coyly keep to yourself. I’m learning to rely on you less and less LP, and that’s probably a good thing. 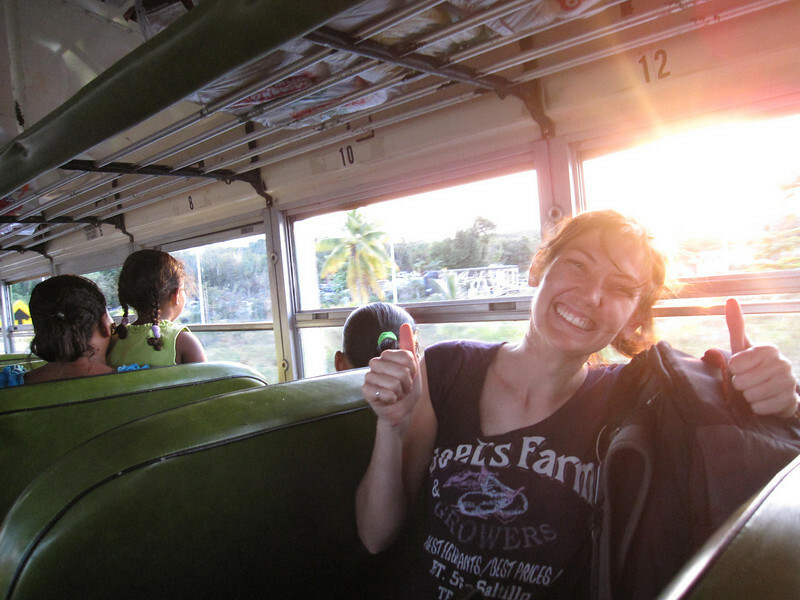 Safely on the chicken bus with the locals crossing from Chetumal into Belize! The whole guidebook debate crops up on travel blogs every now and again, and I’ve always been on team “tote a guidebook around.” I nearly always have one somewhere in my backpack, and it often provides key information at opportune times—it helps me unlock a different side to a place that I might not have found without it. But on the other hand, guidebooks also give travelers a false sense of security as well as take out some of the adventure—and hey, travel, after all, is fundamentally about the adventure and interpersonal connections, right? Here’s the deal, when I arrived at Chetumal, Mexico, I expected the border crossing to be straightforward, like my guidebook indicated. But I arrived after 4pm and first class busses no longer left the terminal for the border. There was also no information about what to do at that point. Picture me now frantically flipping through the Chetumal section of my guidebook. Hmm. The barest mention of another bus terminal. Perplexed, I looked at the accommodation section of the guidebook with two other Americans who were in the same boat—they stood nearby with the exact same guidebook. Fast forward a few minutes and were dividing and conquering, each of us hunting down locals and taxi drivers for tips. We came up with nothing. One taxi driver (naturally) wanted us to cab to the border for US $20—instead we asked about the elusive second bus station, he gave us a noncommittal shrug and told use to walk “a couple kilometers in that direction.” And being a fairly rural town, all of these exchanges took place in Spanish, upping the stakes considerably—thankfully my high school Spanish trickled back! We actually had a grand mini adventure asking locals for more directions along the way. Rather than just following instructions mapped out in a guidebook, we were forced to hunt down a way to cross the border into Belize. Locals always kept us walking the right way, pointing us the “bus station,” and when we arrived at the indicated lot, there was one single, lone, green school bus sitting forlornly in the lot. We glanced toward it, wondering if this could possibly be the elusive second bus station. As the bus began moving out of the parking lot, our instincts kicked in and we began running across the lot just as the driver leaned out the window to holler at us. “Belize? !” he asked in a quick and questioning manner. As we frantically nodded yes, he rumbled to a stop so we could jog to the doors and haul ourselves onto the last bus of the day crossing the border. Is this the biggest adventure of my life? No. But it sure was a lot of fun once we had we hunkered down into the seats, high-fived each other, and then jostled with the motion of the school bus all the way to the border. Once there, cash changed hands (there’s a controversial and possibly scammy Mexican exit tax if you’re not prepared), and I have a couple of new stamps in my good ‘ole passport. Twenty minutes later, we had reached our destination and we confidently made our way into Belize without even a second glance at our guidebooks. I’m still carrying my guidebook, and I know there are times when I will be so glad it’s nearby as I make my way across Central America. In fact, it’s likely that I won’t go guidebook free anytime in the near future, but this reminded me of how fun and freeing it is to just wing it. The world is not so scary a place that every move needs scripting and planning beforehand, sometimes figuring it out along the way is the real adventure. Let me clarify this border crossing for anyone following the same path—as of 2018 there are three bus stations in Chetumal: the new bus station for ADO and first class buses, the old ADO bus station, and a smaller one that has been essentially bypassed by new bus routing in 2017, El Nuevo Mercado Lazaro Cardinez. This smaller one was a small market with an open lot in front that held the chicken buses, but unless things change, it’s been effectively handicapped by the re-routing. 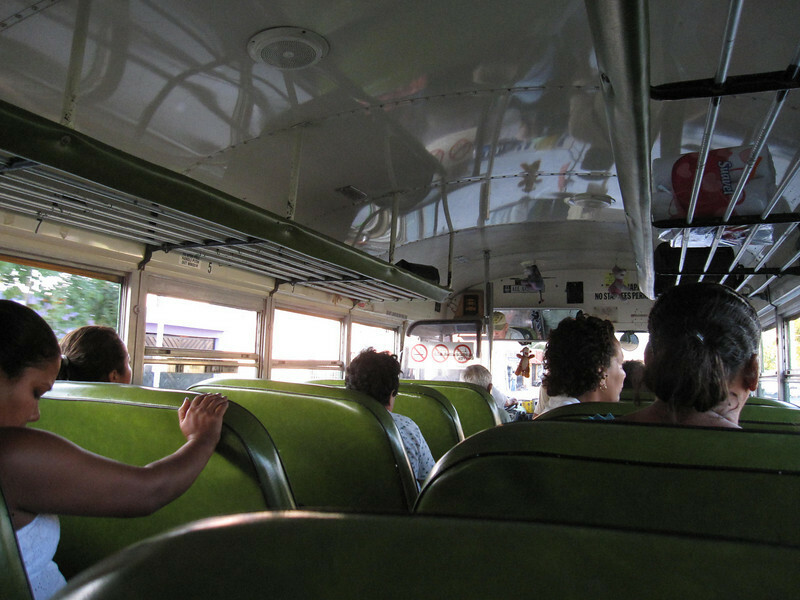 If you arrive late into Chetumal and you’re heading into Belize, back in 2009, the only non-taxi transport was a local chicken buses from the market to take you across the border. These buses go all the way to Belize City and stop at smaller towns along the way (we got off in Corozal so that we could head to San Pedro/Caye Cualker in the morning). In the years since my first Central American backpacking adventure, things have changed, and they are likely to change even faster than internet information can keep up since it’s a small border crossing. So, go prepared with information on both bus stations and be prepared to solicit information directly from the bus stations. Taxi drivers will selectively share information so you’re seemingly left with no choice but a taxi to the border. NEW ADO terminal: Located on Av. Insugentes at Calle Palermo (close to Plaza Las Americas). This is the main ADO bus terminal for services to other destinations in Mexico, including Cancún, Campeche, Mérida, Valladolid, Xcalak, and more. You will likely arrive here and need to head to the Old ADO terminal. OLD ADO terminal: Salvador Novo street near Av. Insurgentes and Av. Belice. Buses into Belize leave from here until at least 5:30 pm, possibly later. 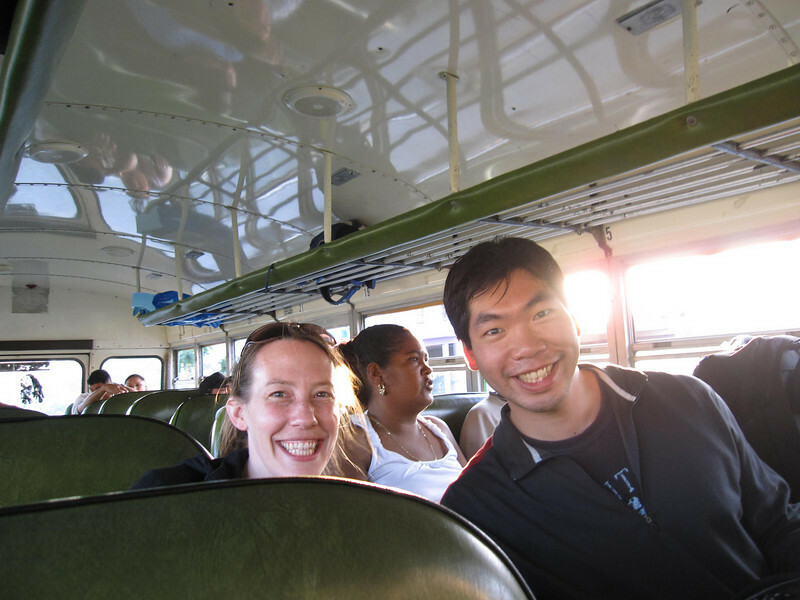 Buses to Corozal, Belize City, Orange Walk, and also into Guatemala. El Nuevo Mercado Lazaro Cardinez: As of 2017, this market no longer has buses operating services into Belize. If a taxi driver takes you here and tells you that buses are finished for the day, make your way to the Old Ado terminal. Updated travel advice: This basic wordpress site shares what has to be the most updated information about bus travel in Belize, including frequently updated information about this border crossing. The guy who updates it is also very active in the Lonely Planet Thorntree forum discussions about all things Belize. And Rome2Rio shows regularly updated transportation advice for this passage as well. Ferry Options to Caye Caulker or San Pedro: If you’re up for it, there is a great water taxi transfer from Chetumal to Caye Caulker or San Pedro. You’ll have to arrive and catch the last one by 3pm, so if you do arrive in time, it’s a great option. Paying the FMM / Mexican Exit Fee: I have read that there is now a bit of a shakedown at this border, at times. If you arrived by air and are leaving by land, paying this fee gets complicated. Here is the best rundown you’ll find online, and this blogger shares their experience in 2014—note that their bus information is wrong, but their advice on the FMM is good to know. Onward from the border. Stay the night in Corozal, the closest town to the border, if you’ve made one of the last crossings of the day (this is what I did and then headed by water taxi to San Pedro). Alternately, head to the main bus station (if your bus is not one already heading to Belize city). Southbound buses to Belize City take about four hours and depart from Corozal roughly every half hour from 3 am to 7:15 pm. If you’re heading through Belize into Guatemala, check out my Guatemala Travel Guide for free advice on the best things to do, see, eat, and insider tips on how to navigate the country.